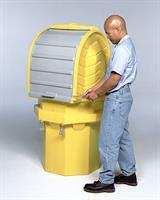 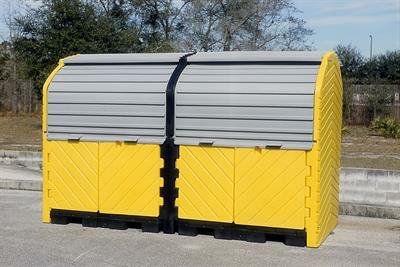 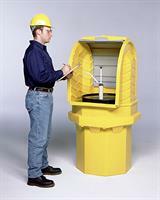 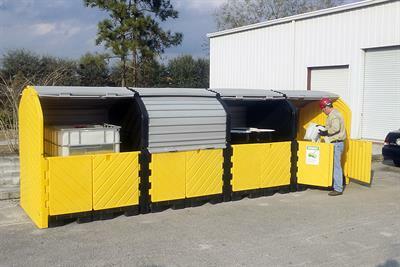 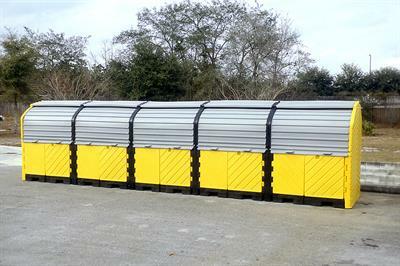 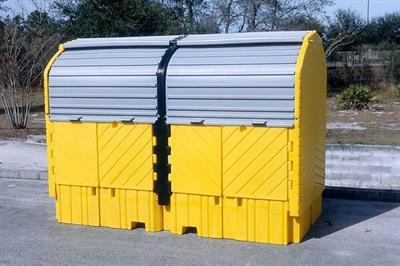 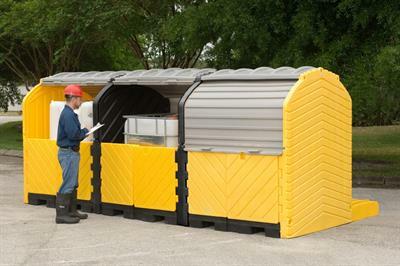 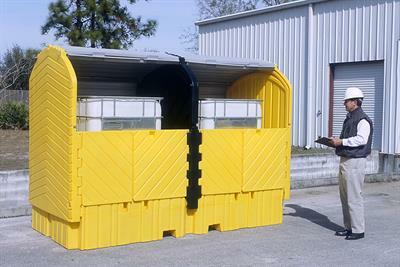 Comply with spill containment regulations while storing IBC tanks outdoors. 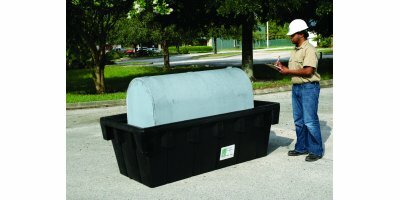 Store two IBC tanks outdoors and keep them safely out of the elements while providing enough containment to meet EPA and SPCC spill containment regulations. 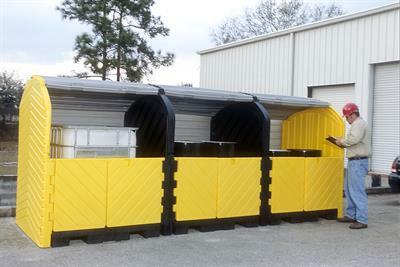 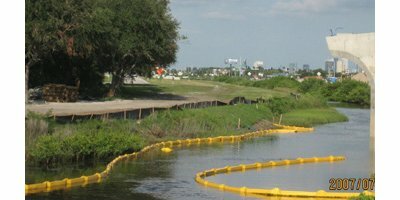 The covered containment will also help to meet the NPDES requirements. 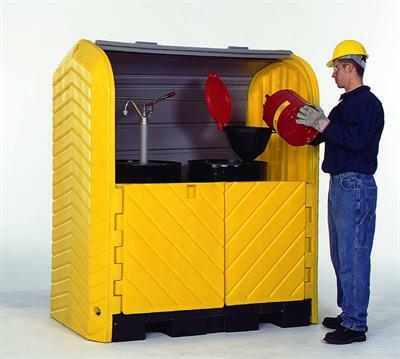 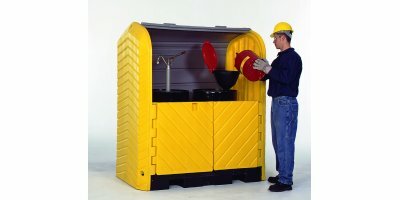 Ultra Hard Top P2 Plus Spill Pallet 2 Drum Storage - With Drain - Store Hazardous Drums Safely Outdoors with Pumps and Funnels In Place. 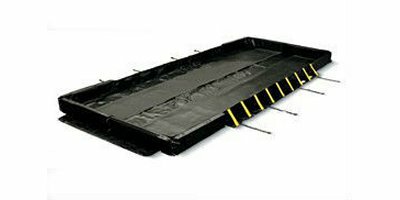 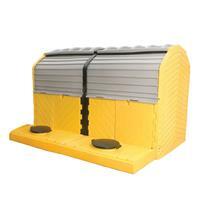 UltraTech Hardtop P16 Plus Spill Pallet - 9654 - 16 Drum - No Drain - Safely Store Multiple Drums Outdoors.